If you’re a fashionista with a taste for the hottest trends, you probably have heaps of fashion books lying around in your home. We know what it’s like – you say you like one thing, be it fashion marketing, history or textile design, and then all you seem to get for birthday and Christmas presents are books on the subject! And even the most dedicated followers of fashion acquire books they don’t wish to hold on to forever. But don’t let them wilt in a box under the bed or be pushed to the back of the shelf… here at WeBuyBooks, we love books on style, and we will buy your unwanted fashion books in exchange for cash! The trend obsessed society that we live in today has no doubt been heightened by the modern phenomenon of social media, with photo and video sharing apps often being used to share fashion and styling ideas. 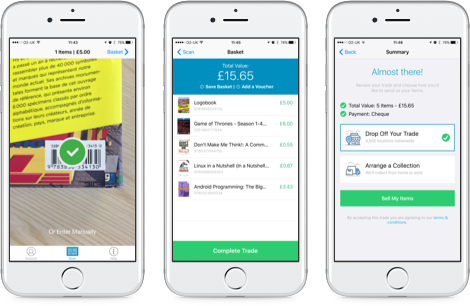 And fashionable app users out there will be happy to know that at WeBuyBooks, we have our very own app to help make our book selling process even easier! The app transforms your phone camera into an intelligent scanning device, which allows you to scan ISBNs and get instant valuations for your used fashion books whenever and wherever. It’s so easy that you could even online shop for coveted pieces or work on your latest textile design whilst scanning and selling! Sell used fashion books on the go with our mobile app! It transforms your phone’s camera into a clever scanning device, meaning you can get valuations for your used fashion books whenever and wherever. So, even if you’ve got piles and piles of used fashion books to sell, it won’t take you long to swap them for cash! 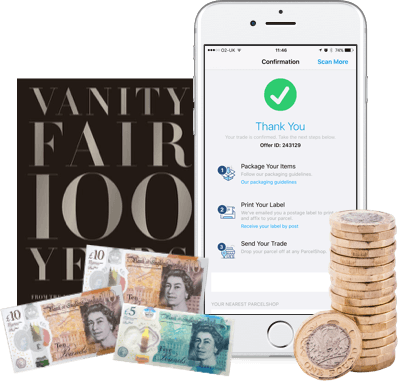 After getting instant valuations for your used fashion books, you then simply package your items, send them to us and of course, get paid! So what are you waiting for? Have a scan of your shelves for any fashion books you no longer need, download the WeBuyBooks app, and start making some extra cash, fast. You will be buying the new clothes and fabrics on your wishlist in a flash. 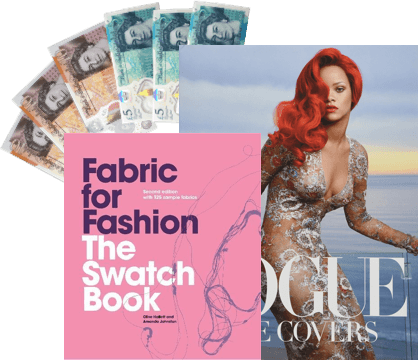 Send your Fashion Books, DVDs, games and CDs to us and we’ll send you some money. Less clutter at home and more money – what’s not to love about that? So don’t wait – sell online today with We Buy Books. If you’d like some extra help, then please don’t hesitate to get in touch. Just give us a call on 01706 248281.